This is the Arthur Ravenel, Jr. Bridge in my hometown of Charleston, SC. 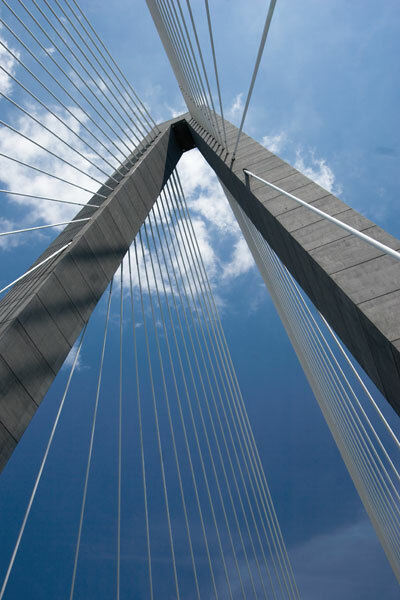 With its twin 575-foot diamond towers, quarter mile span, eight lanes of traffic, and separated pedestrian lane that offers breathtaking views of the Holy City and its waterways, the 2.5-mile "Ravenel Bridge" is a marvel of civil engineering. Other than the fact that it's visually impressive, this bridge is unique in that it's a fixture of highway infrastructure that isn't painted white. The designers of the Ravenel Bridge chose to leave its concrete its natural color for two reasons: 1) white paint would increase the contrast between the taller, modern-looking towers and the lower, historic Charleston skyline; 2) the massive size of the bridge would make painting a major undertaking. 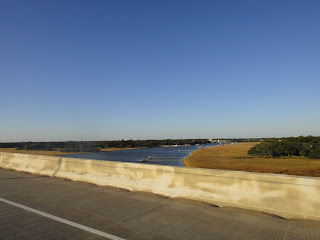 This is the Robert B. Scarborough Bridge in Charleston. 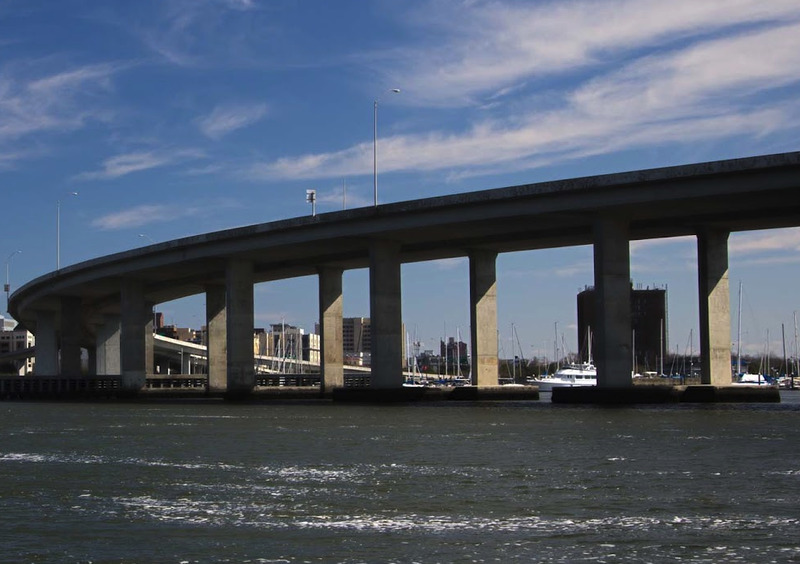 Although not as visually-impressive as the Ravenel Bridge, the 3-mile "James Island Connector" also offers excellent views of the Holy City and its waterways. Other than being smaller and less visually-stimulating, this bridge differs from the Ravenel Bridge in that it's painted standard "freeway white". Notice that the latter is marred by a "Jackson Pollock" pattern of fading paint. 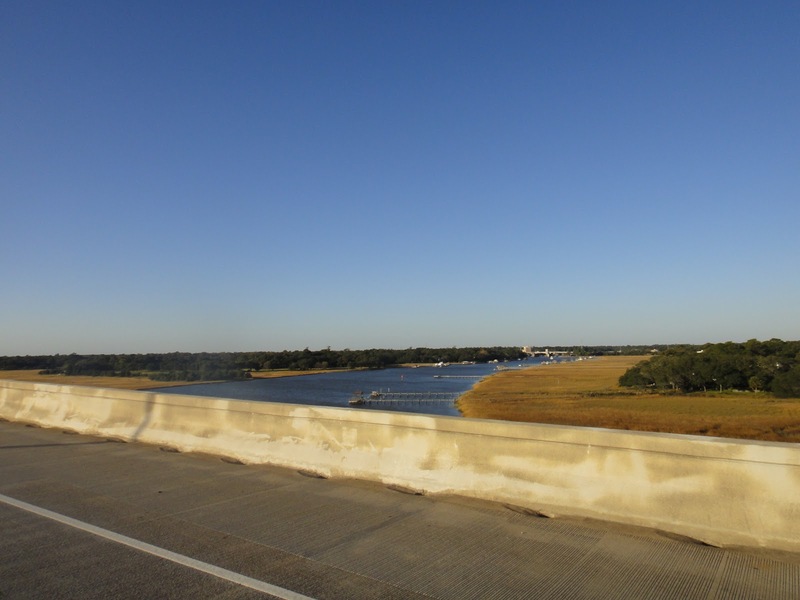 Now consider this: If its concrete had been left its natural color (as is the case with the Ravenel Bridge), the James Island Connector would have cost millions less. In other words, taxpayers spent millions of dollars for no reason but to blemish what should be pristine views of my hometown. Out here in CA crews are always out painting freeway barrier walls. I'd say that Sactown has a good union racket going, but they couldn't do it without the highway funds from DC. It's the national taxpayer who takes up the rear. Not to discount your thesis, Seth, but is it possible that highway barriers are painted white for safety reasons? At any rate, love the blog. Keep fighting the good fight. Thanks for the comment, J. Yes, it's possible that barriers are painted white for safety reasons. Or at least that could be the excuse contractors make when they add painting to their bids. But if safety were the issue, barriers would be painted with a reflective medium. And only on the side that faces traffic. But every bridge I've seen painted "freeway white" has been painted top to bottom, inside and out with a flat medium. How does flat paint on the underside of a bridge improve safety? Hey Seth I agree with you 100% the fact is that even in SC the highway construction requirements are way over board the Ravenel Bridge is one of the few contracts that has made any sense. 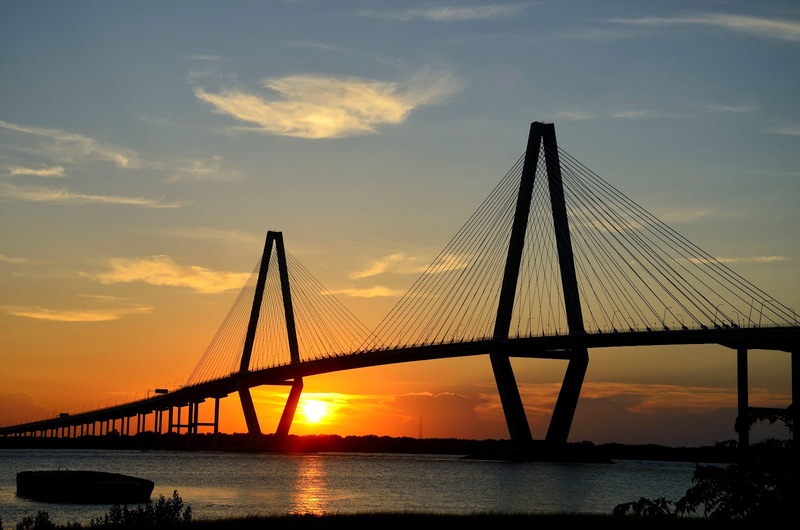 It was built very fast and of excellent construction due to the fact that it is in Charleston and has different guidelines that any other in the state. One example is the requirement of building sidewalks in residential areas 12" on one side and 6' on the other makes no sense at all, I think that is a designed money making requirement. That's just one of the many waste in SC as well as many other states. My personal opinion and I am sticking to it. "It was built very fast and of excellent construction due to the fact that it is in Charleston and has different guidelines that any other in the state."